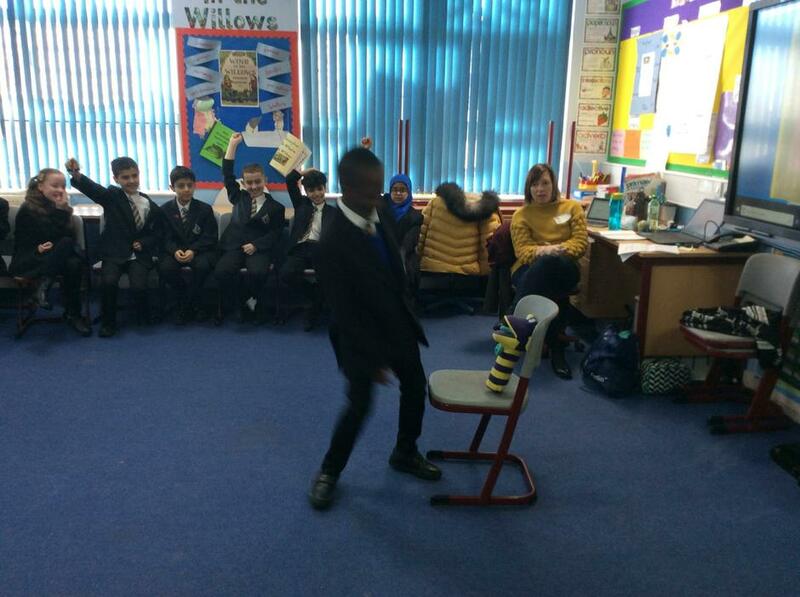 This week, the children performed their assembly to KS1 and over 20 parents! 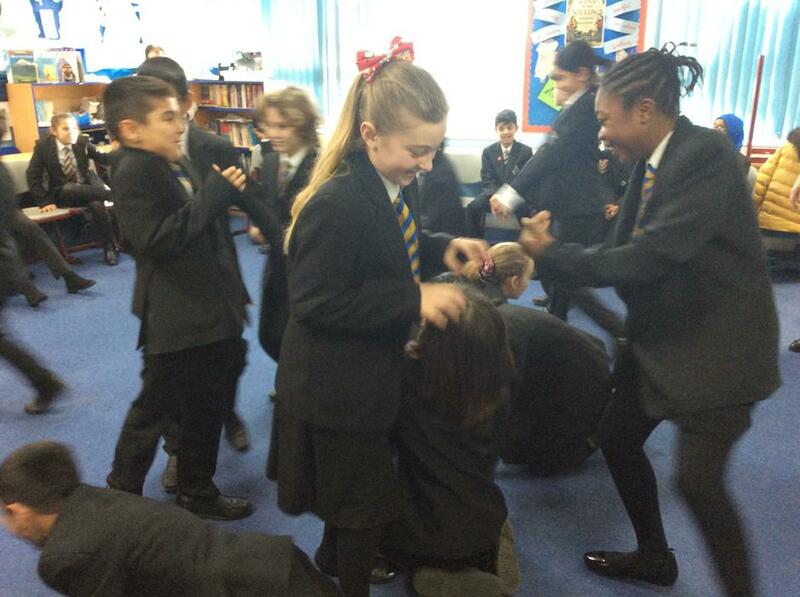 It was enjoyed by everyone - I've got to say you were AMAZING! 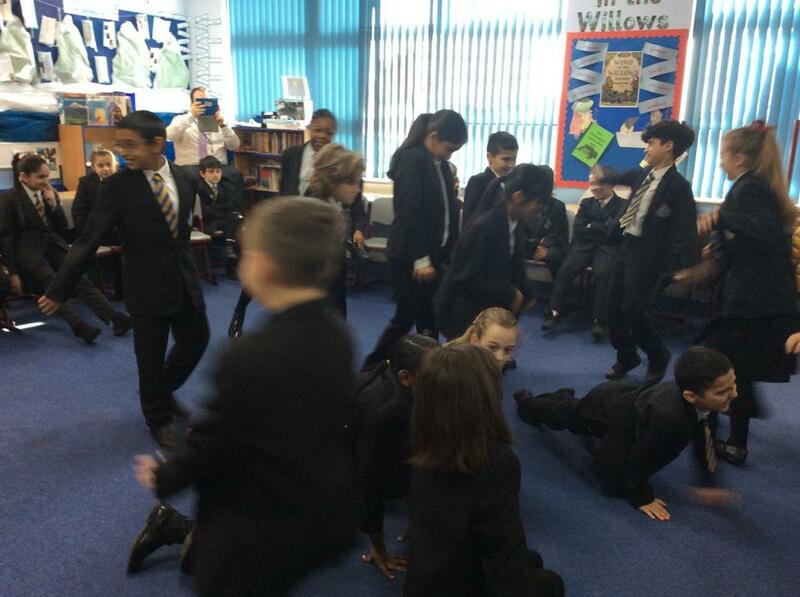 It was all about the Titanic and what we have been learning over the past term. The children have been writing their own Play Script about the book we have been studying this term. All of the children have produced some wonderful, inspiring writing. 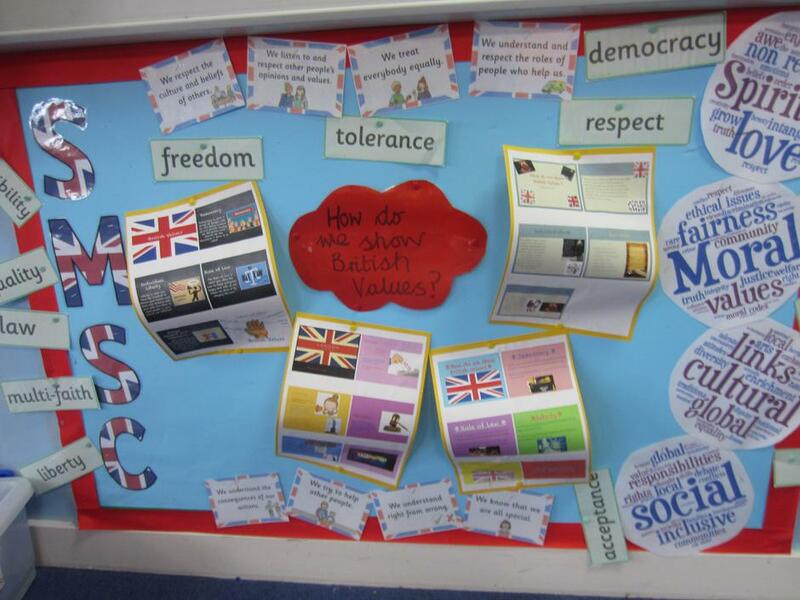 Below is the creative homework to be completed for our next topic - Local History. Research the local area that we live in, and re-create this scene. We look forward to seeing what you can create. 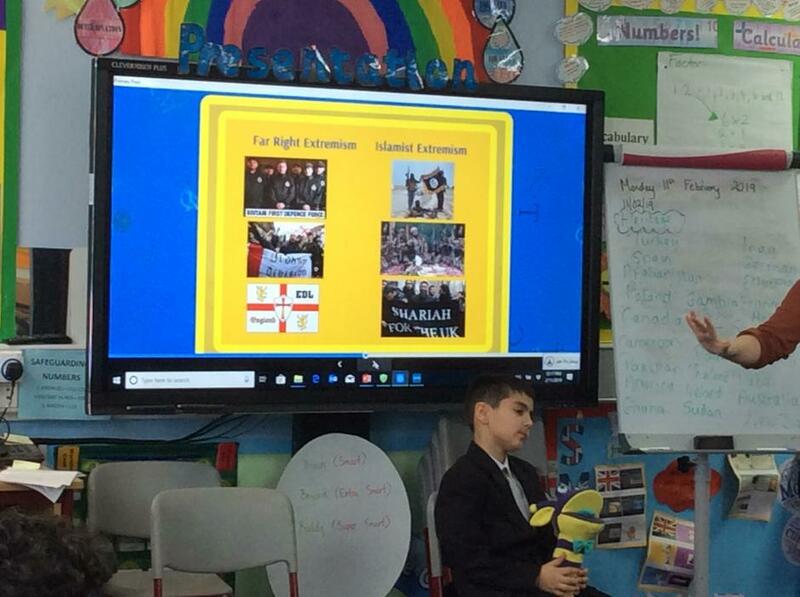 This week, the children have really shown what they have learnt over the last few weeks and applying many of the skills to complete their learning. 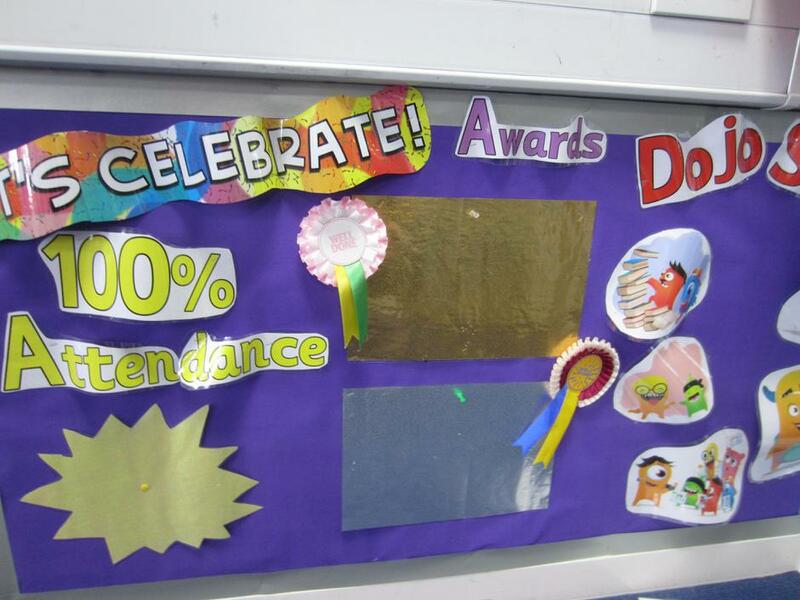 It has been a fantastic term of learning and all of the children have made excellent progress. 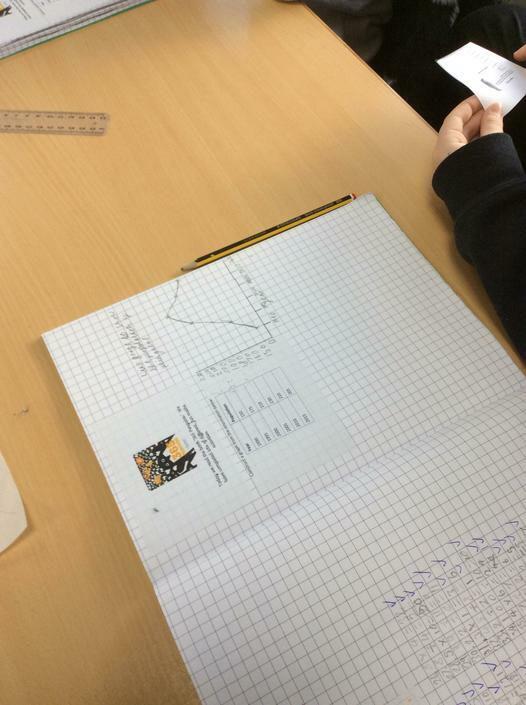 In Maths, we have looked at area and perimeter. The children have a fantastic understanding and were able to apply the skill to varied fluency, problem solving and compound shapes. 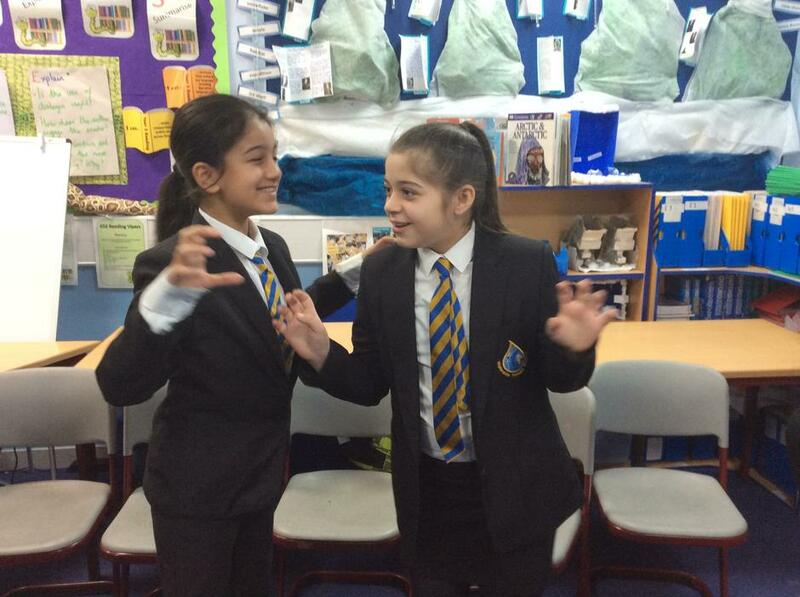 The 'Stars of the Week' for this week was: Emaan and Tajrain, Well Done to both of you! 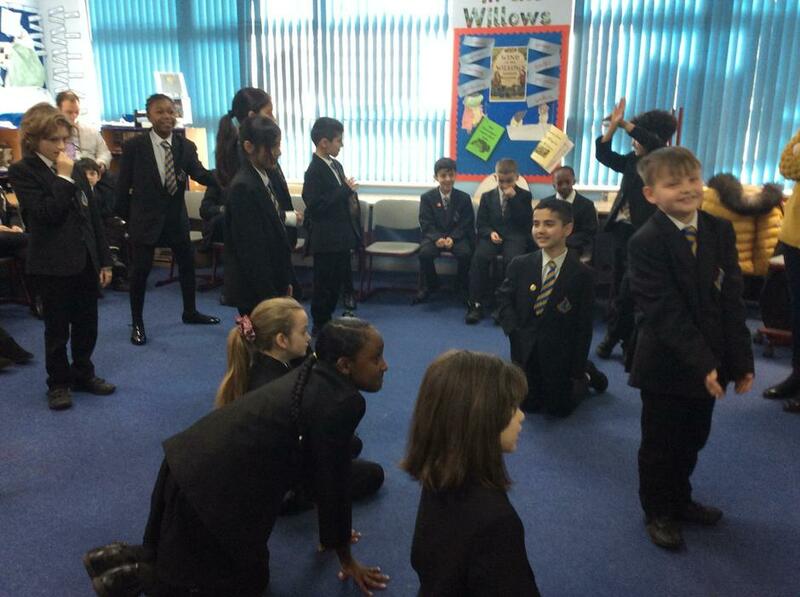 Next week, the children will be writing their own Play Script about the book we have been studying the term. This week, the children have completed a lot of learning! From planning, drafting, editing and publishing their own newspaper reports, to working out the area and perimeter of various compound shapes! 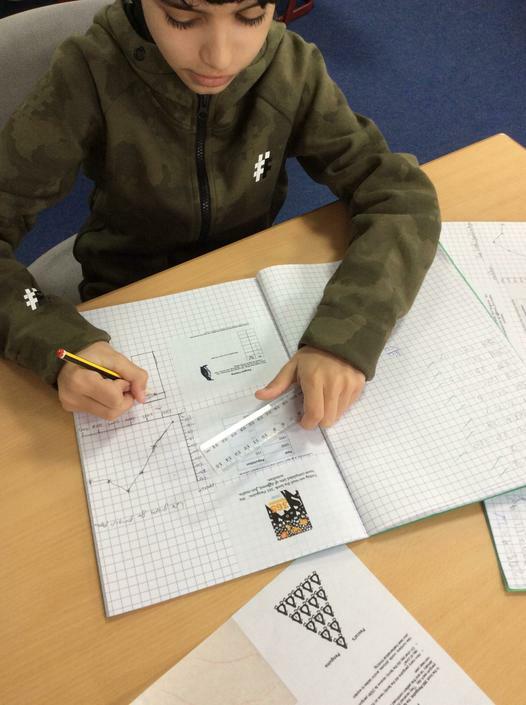 In Maths, we have also looked at a range on division problems to ensure that we are confident in applying the skill that we have learnt to word problems and varied fluency. 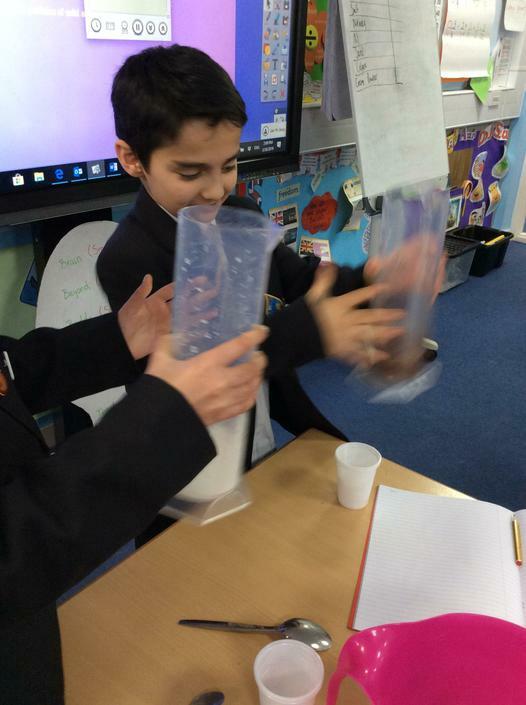 During Science, the children have been completing experiments to investigate which materials are soluble and insoluble. It was our last week at swimming this week. The children have been putting in a great effort over the previous weeks and this has been clear by the amount of children who have gained their Beginners badge, length badge and also 2 children achieving their Elementary badge. Once again the children have risen to every challenge given to them and have excelled at it. I have been very impressed with their ambition and resilience. 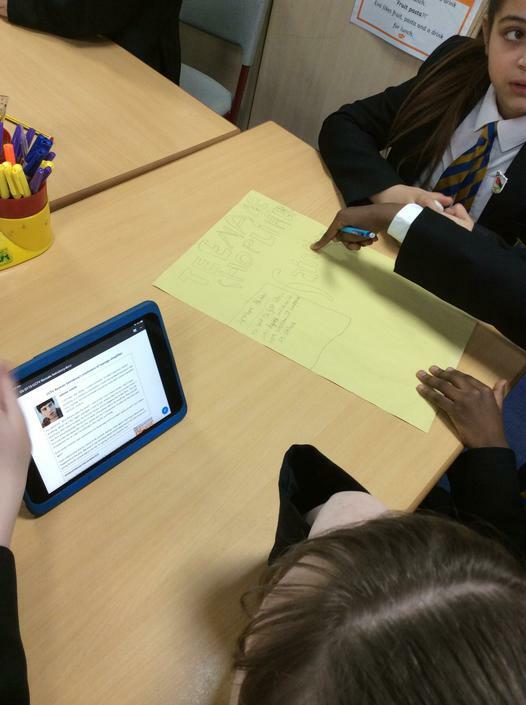 We have started to look at the different features needed for newspaper articles. 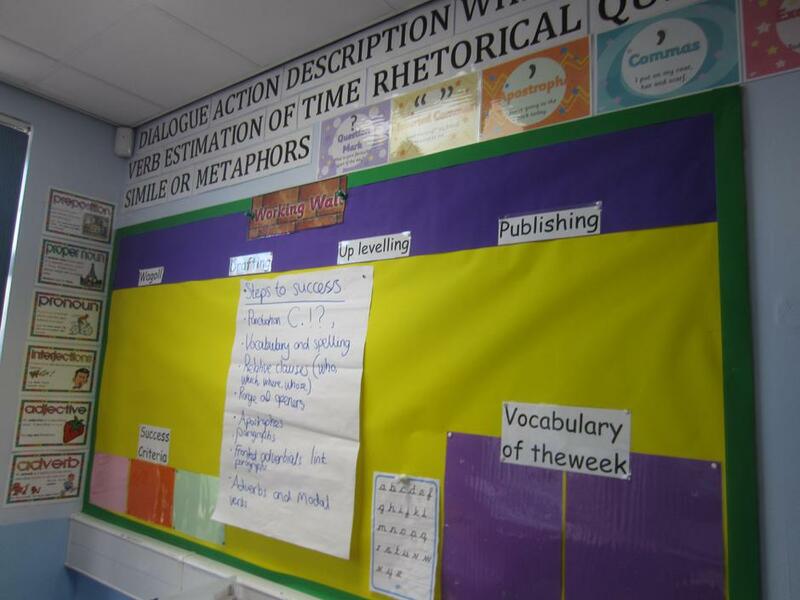 Next week, the children will start to plan, draft, edit and publish next week! A busy week ahead! 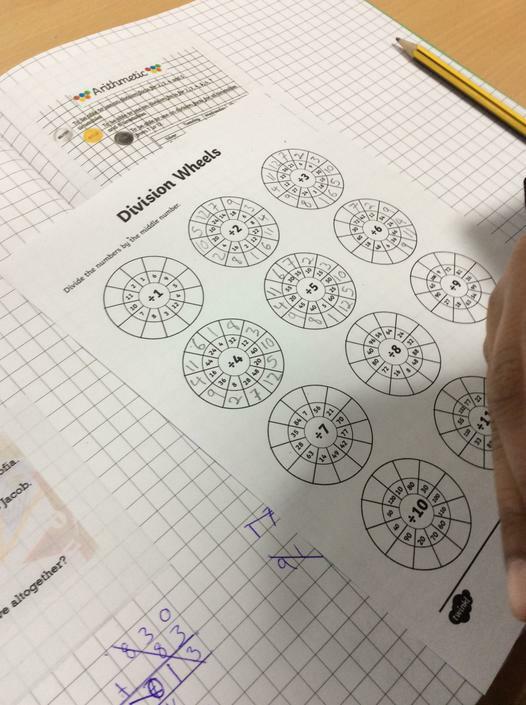 In Maths, we have looked at division through learning new skills, problem solving, verbal reasoning and fluency. 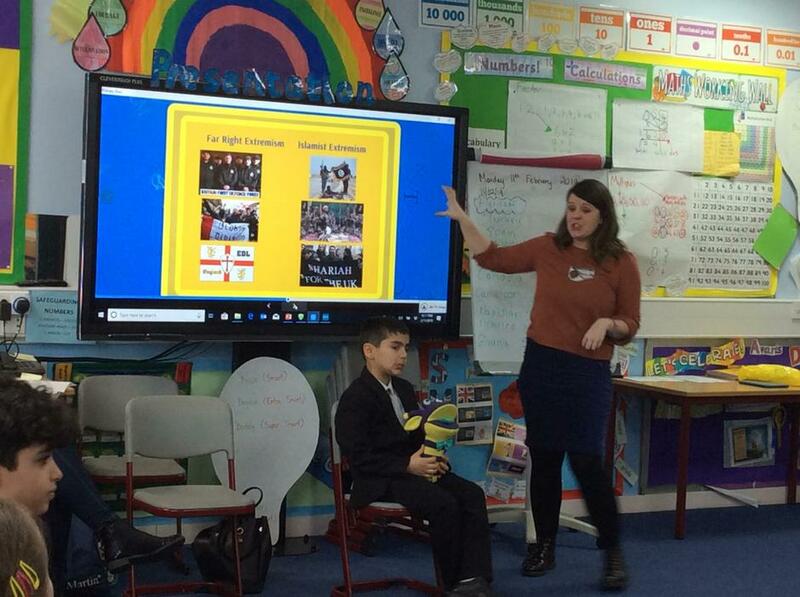 In our P4C session this week, the children had a fantastic discussion on how plastic in damaging the environment and oceans. We have had another great week in the Whales class! 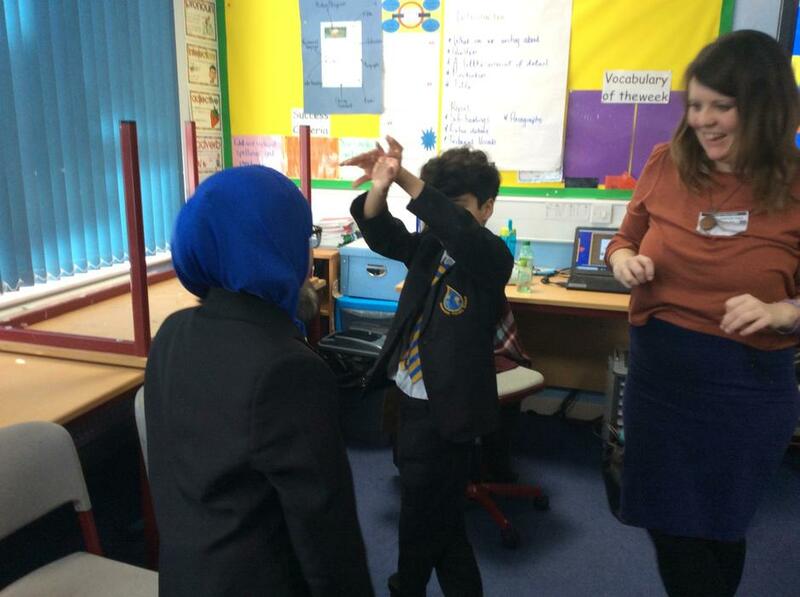 Lots of learning completed but also time for some fun activities on Thursday, as it was our workshop for British Science Week! The stories that the children have been writing using our book 'The Peculiar Peggs of Riddling Woods are incredible, all include Year 5 features and most of them have year 6 features included. This book has really gripped the children and adults alike! Really excited to see what the children produce next week. In Maths, we have looked at multiplication and problem solving. The children have really mastered the skill of long multiplication. Wow, what another fantastic week in the Whales class! 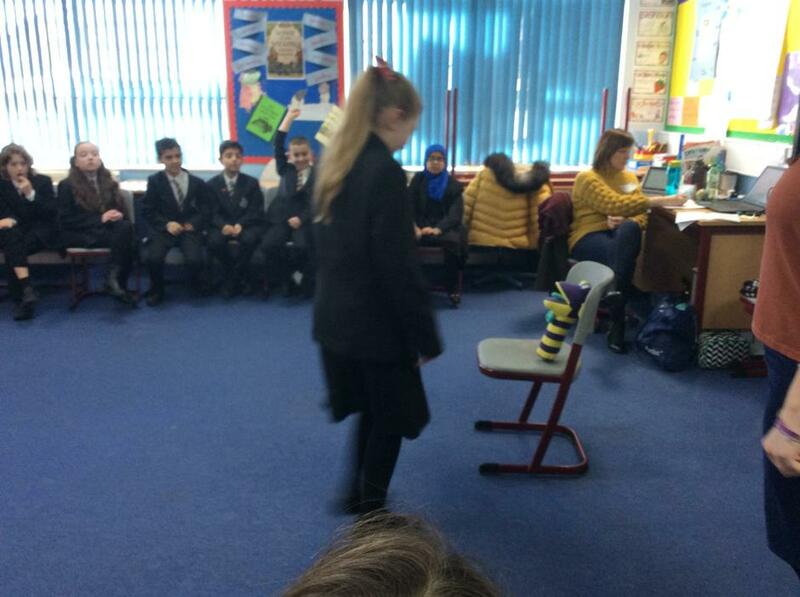 Lots of learning completed but also time for some fun activities on Thursday, as it was World Book Day 2019! Please see the pictures for what the children got up to over the day. 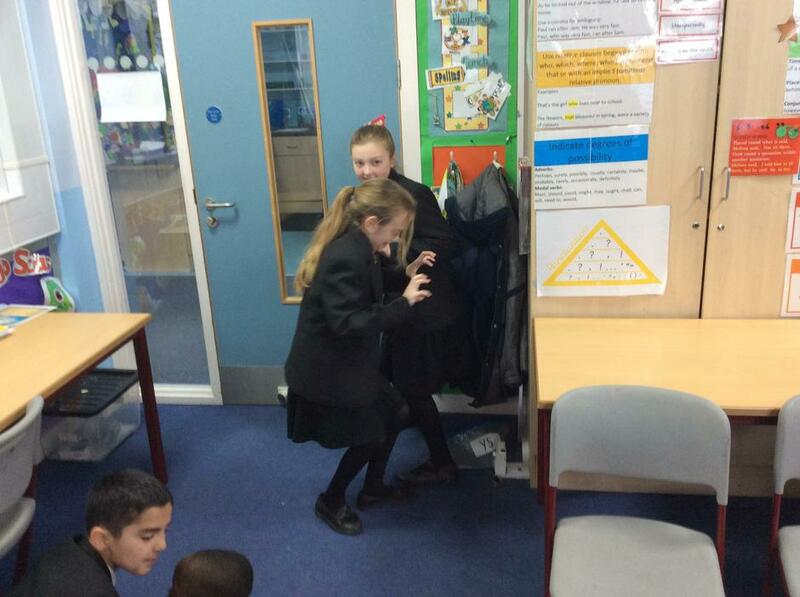 We have also been creating our own mystery story, similar to our book, The Peculiar Peggs of Riddling Woods. This book has really gripped the children and adults alike! Really excited to see what the children produce next week. This week, in English, we have been looking our brand new book for the next half term; The Peculiar Peggs of Riddling Woods. All of the children have enjoyed the first two chapters and trying to solve the mystery that is unraveling before them. In Maths, we have been focusing on our timetables but also the division facts linked to our timetables. We have also looked at reading tables and timetables. All of the children have a very good grasp on answering these questions now. Next week, we are moving on to multiplication, using the written method, to solve a range of problems. 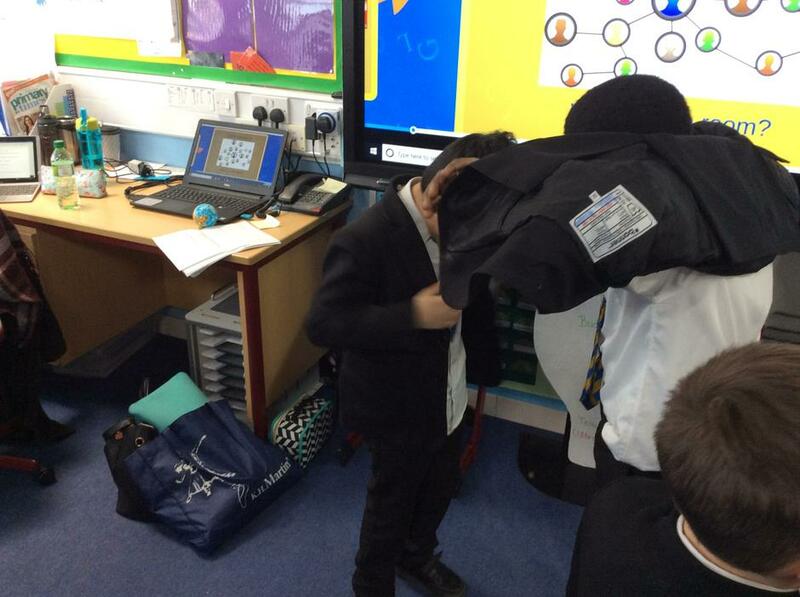 During the afternoons, we have started to debug our games that we have developed during computing, this will ensure that they work correctly for the user. Also, during our Encompass lesson, we look at explorers going n expeditions to Antarctica. On Monday, we had some visitors from an organization called 'Game on'. Throughout the day the children completed many different tasks and activities that included role play, working as a group, debates and lots of discussion. 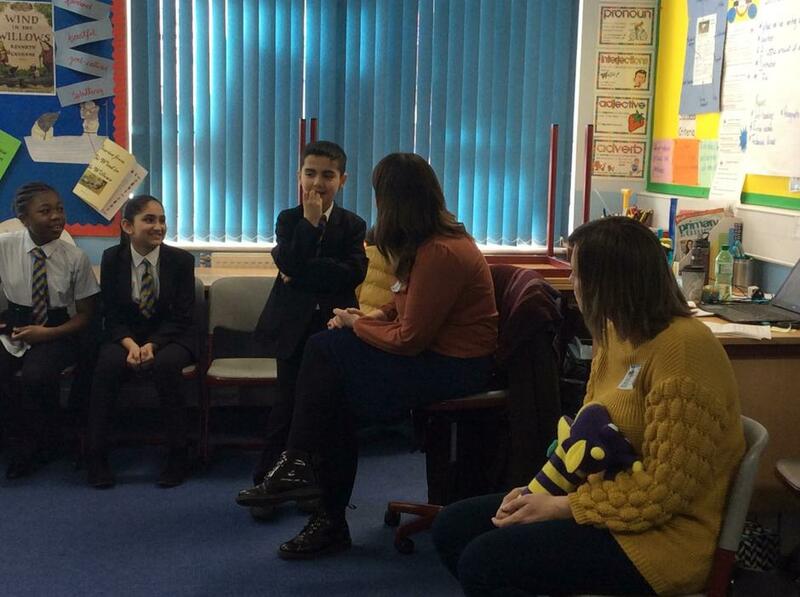 All the of the children gained so much from the day and were very mature about the topic of debate, British Values. Please see the pictures below from the day. 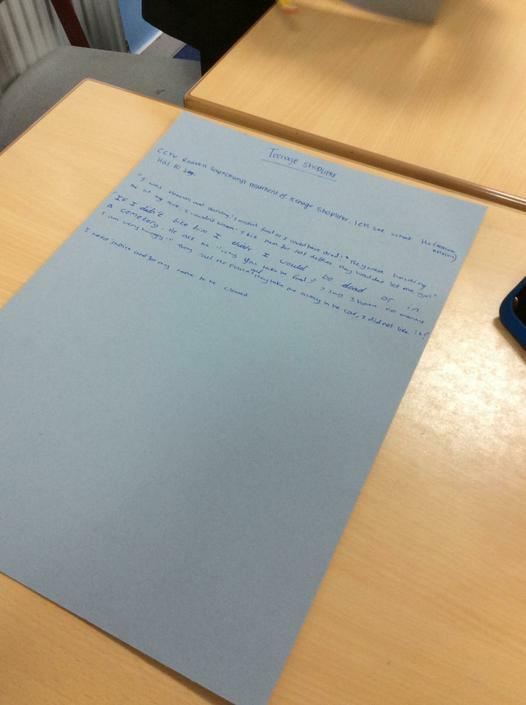 This week, in English, we have been looking at informal and formal letters. You could ask the children what the differences are between them! In Maths, we have been focusing on our timetables but also the division facts linked to our timetables. 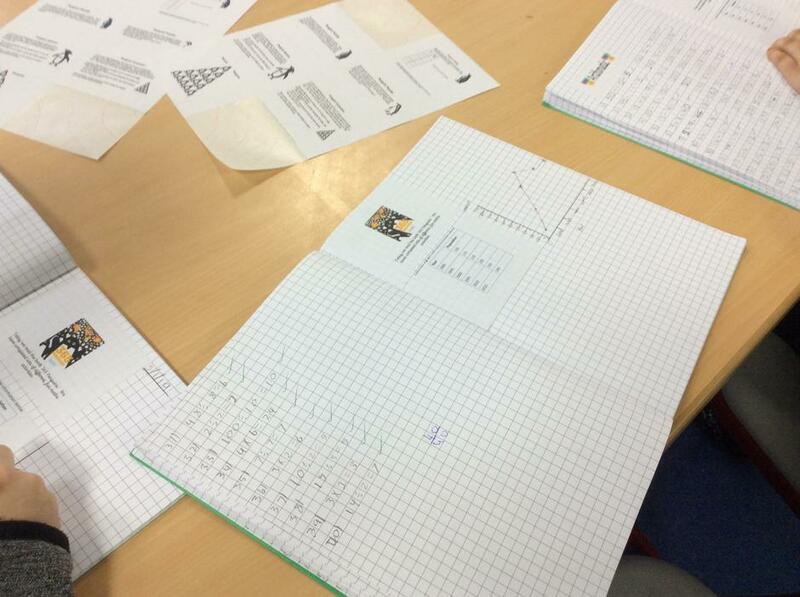 We have also started to look at line graphs, interpret them and answer a range of questions. Next week, we are only going to have a table of data and draw our own line graphs. 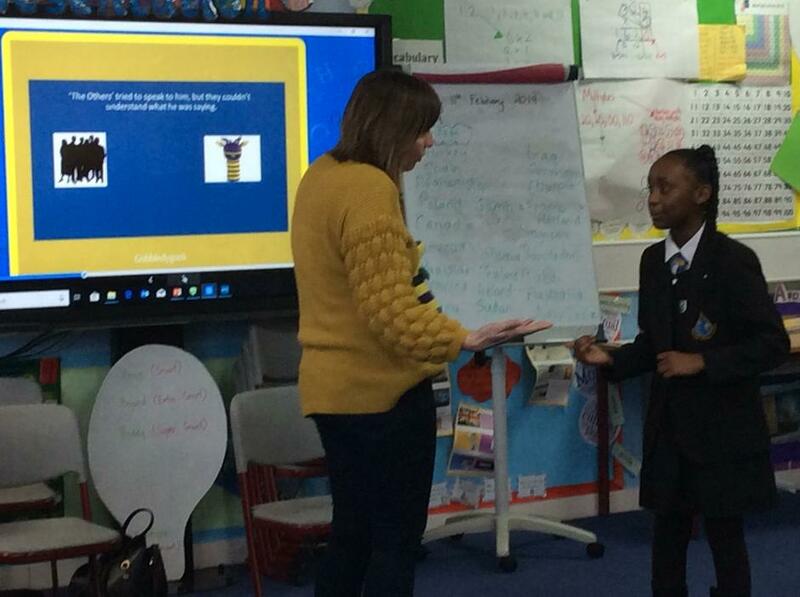 Thank you to all of the parents who attended the parents consultation day on Thursday, it was very productive and all of the children were very keen to show off there work. Wow, what a fantastic week of excellent learning. This week, the children were looking at non-chronological reports about a character in The Wind in the Willows. 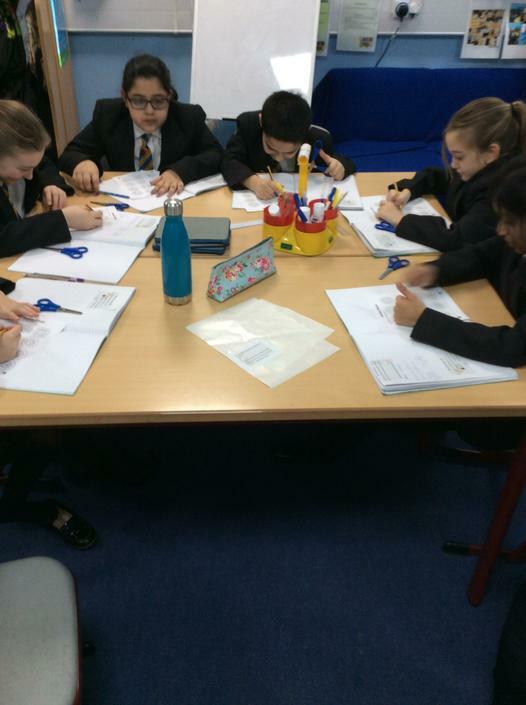 The children made some fantastic notes about Toads, and were then able to sort their notes into subheadings and turn their notes into a great non-chronological report. In Maths, we have been focusing on our timetables but also the division facts linked to our timetables. 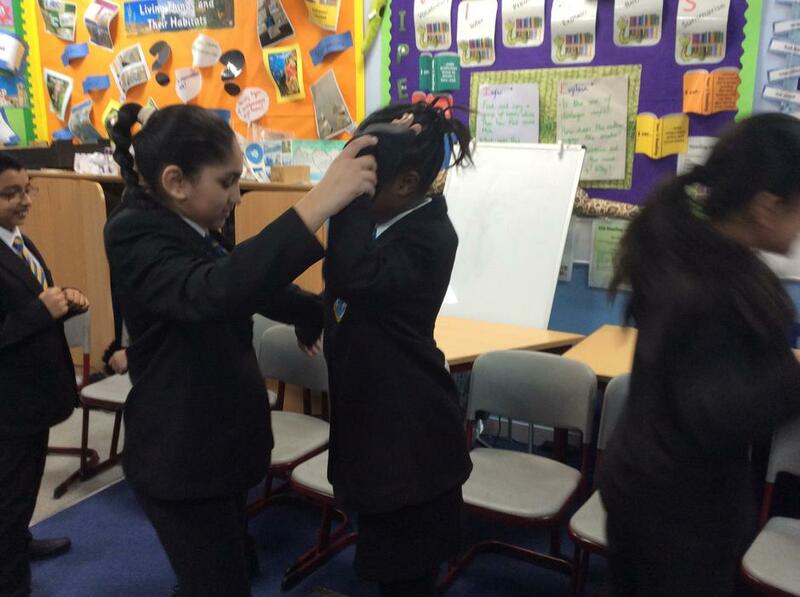 Everyone is becoming much more confident and making progress with the timetable they are learning. On Friday, we had NSPCC Number Day, the children all came dressed either in black and white, or an item of clothing that had a number on it. 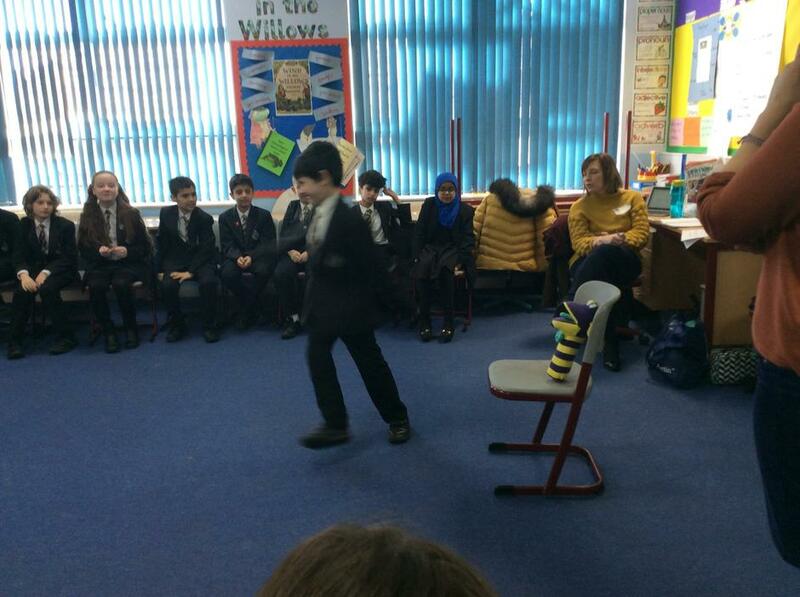 During the morning we had a special launch assembly, then onto reading the story '365 Penguins'. 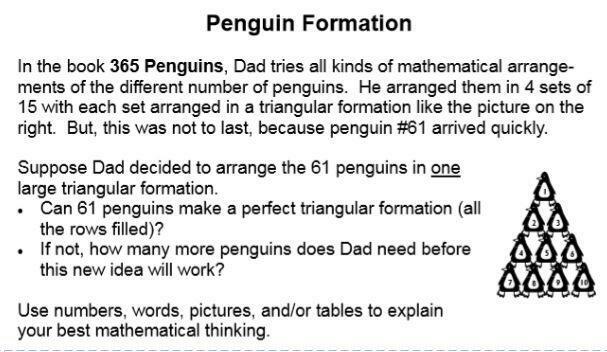 After that the children were given lots of different mathematical problems linked to penguins. I've uploaded one of the problems below, have a go yourself or see if your child solved it the same way you did. This week the children have continued to look at The Wind in the Willows. We have been looking at non-chronological reports and the children have started to plan their own non-chronological report about Toads. 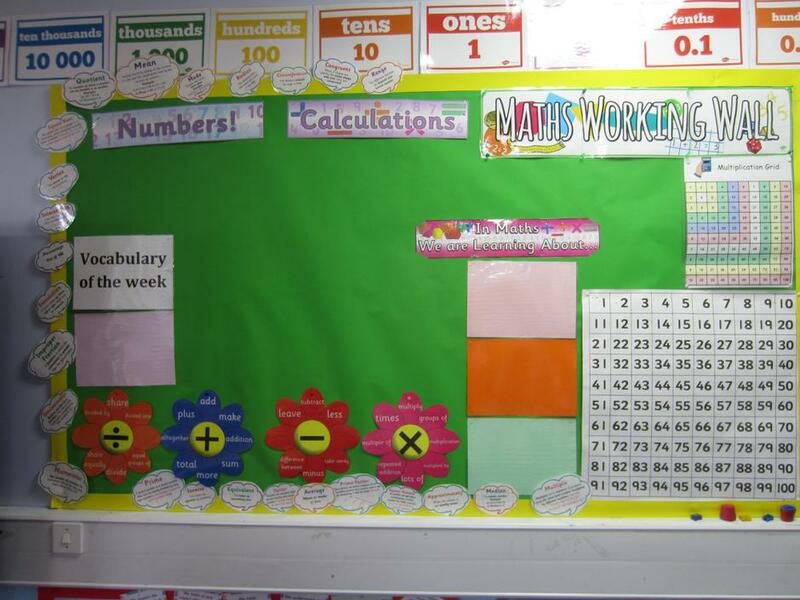 In Maths, the children have been looking at a range of skills, that include x10, x100, x1000 and ÷10,÷100, ÷1000. 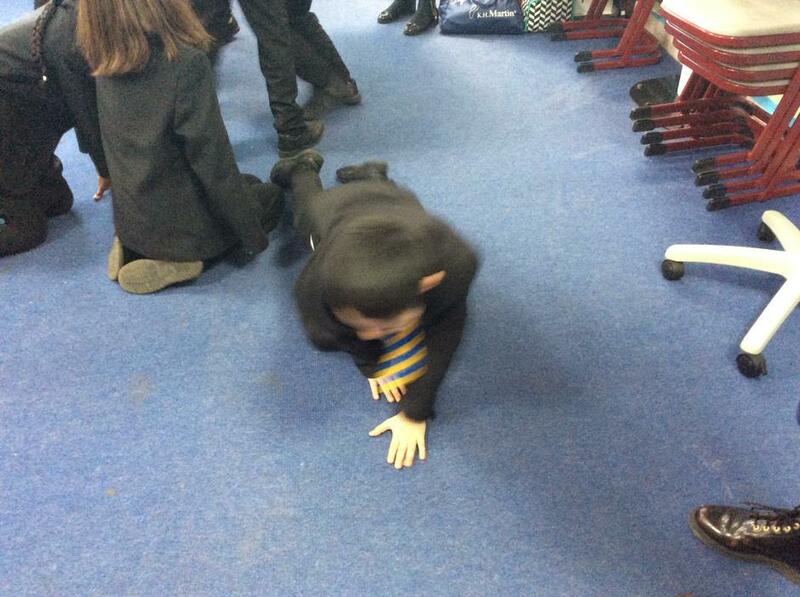 Also, the children have really mastered how to find common factors! 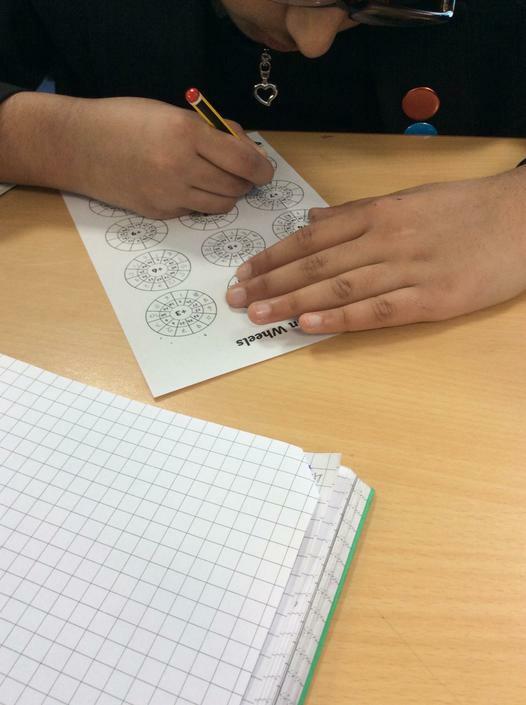 Ask them how to do this..Clue….venn diagrams. During our Computing time, we have started to design our own computing game. 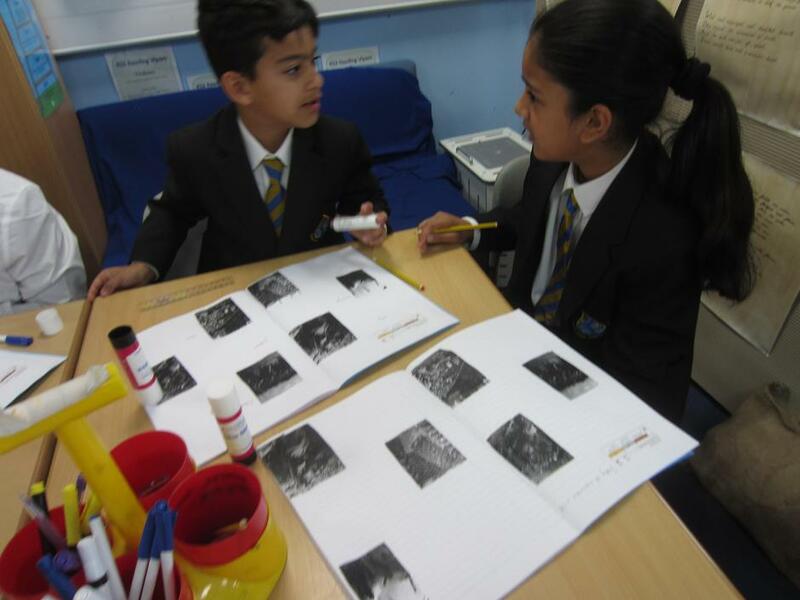 In our Encompass lessons, the children have been looking at Global Warming and the effects on wildlife. This week the children have continued to look at The Wind in the Willows. We have read the first few chapters. We have written our own diary from the viewpoint of one of the characters in the story (mainly Mole or Rat) and retold the many adventures they have gone on. Next week, we are looking at non-chronological reports about the characters in the story. 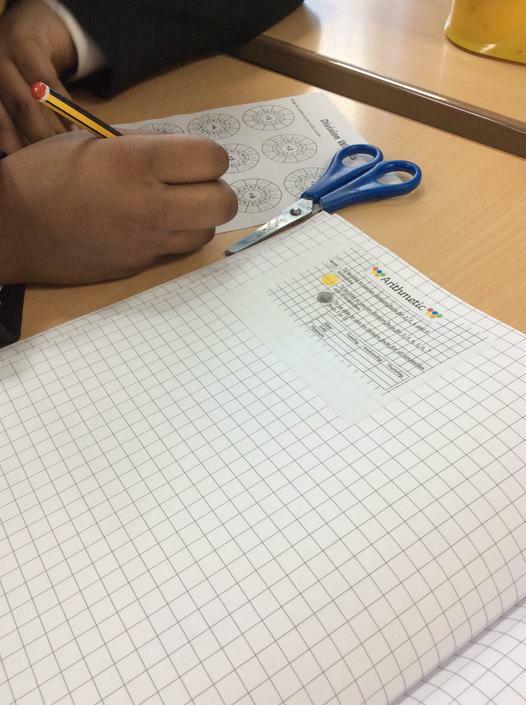 In Maths, the children have been looking at multiples, factors, multiplying and dividing. We have been problem solving and going deeper to really get a great understanding of the concept. 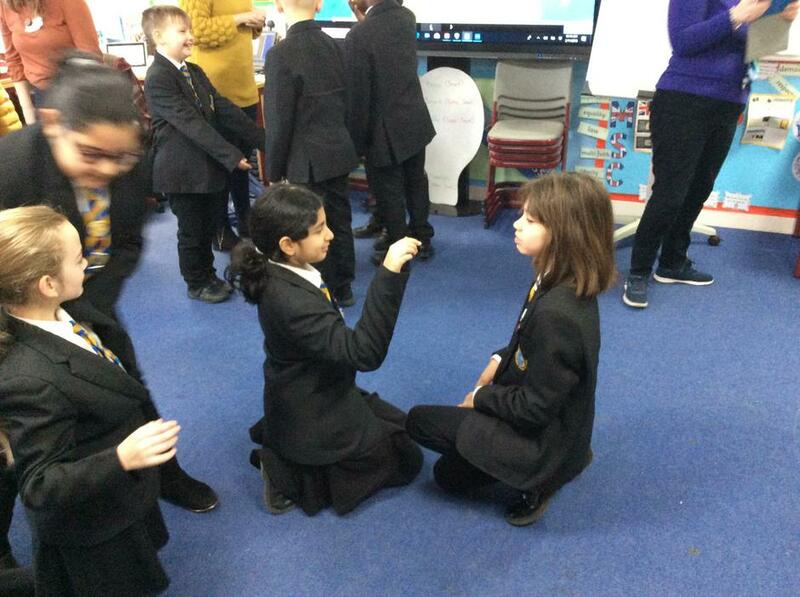 During our Computing time, we looked at the Hour of Code and how we could create our own computer game over the next few weeks. This week the children have been looking at The Wind in the Willows. We have read the first chapter and looked at the various character and setting description that is included. 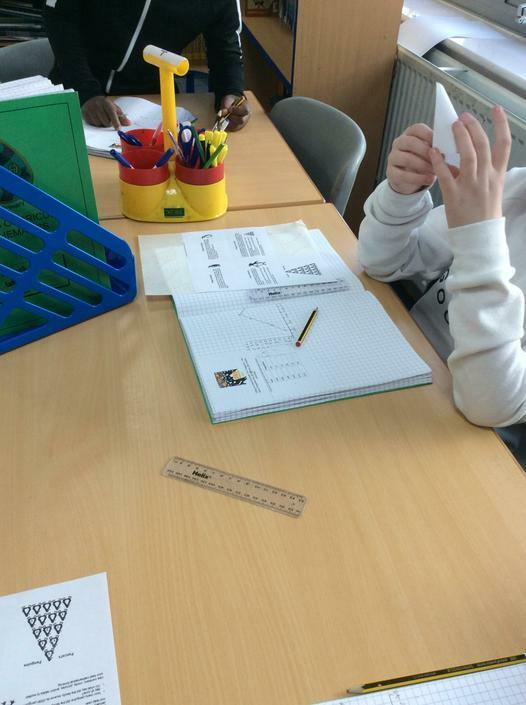 In Maths, the children have been revisiting Place Value. Ordering, comparing and really understanding numbers to 1 000 000. 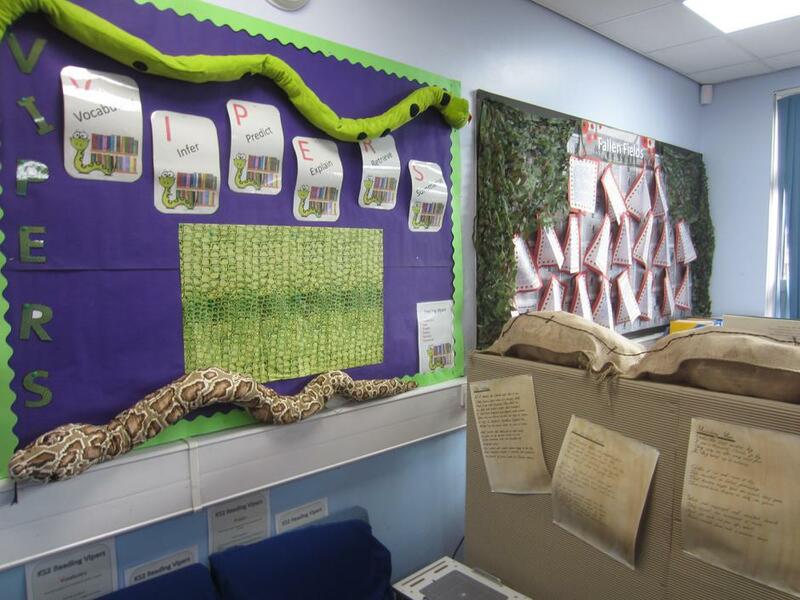 We had a WOW day to launch our new topic on Tuesday, which the children thoroughly enjoyed. We looked at the vocabulary that will be needed throughout the term, completed some art work, a Science experiment and developed our senses through vocabulary and phrases. This week the children have been planning and writing narrative fiction based on the Harry Potter character Bellatrix Lestrange. 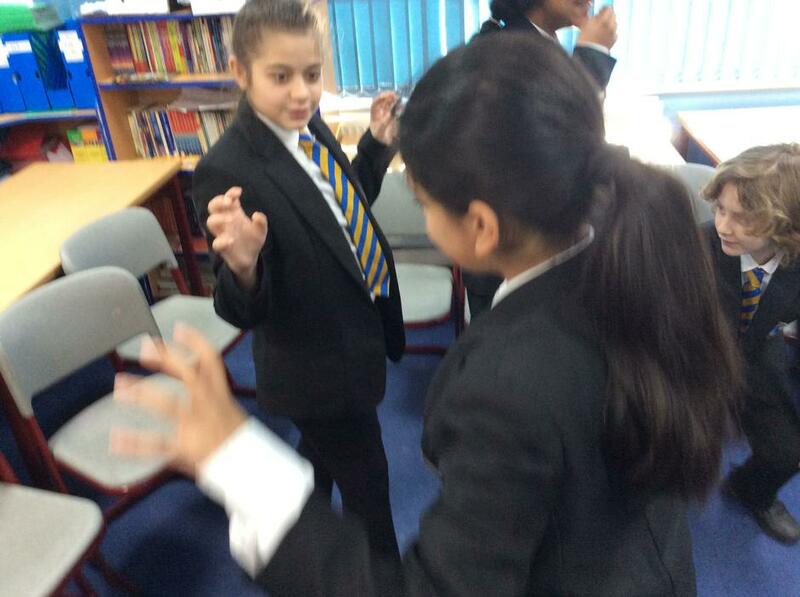 We have been working to add tension to our writing. 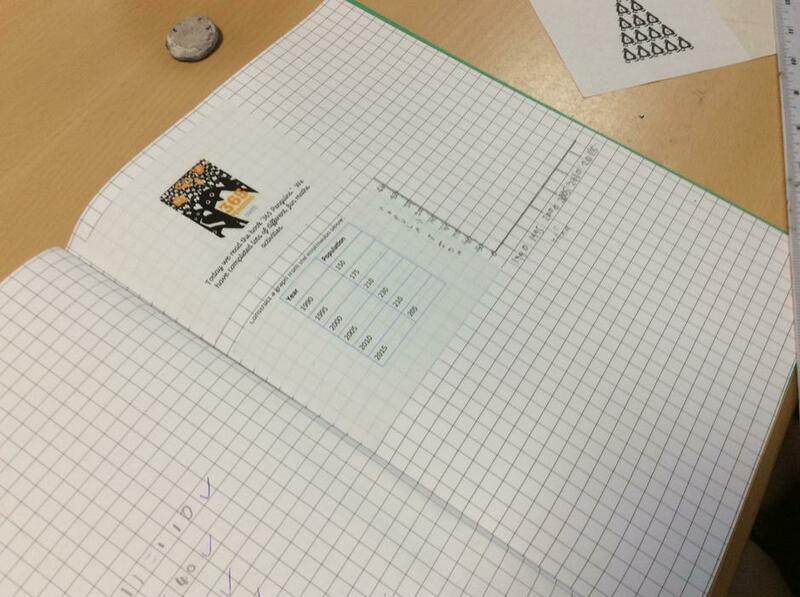 In Maths the children have been working with decimals. 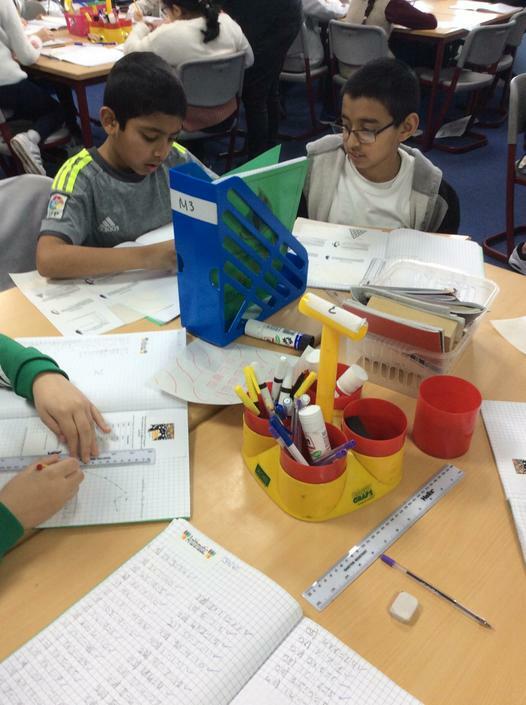 Adding, subtracting and comparing numbers with up to 3 decimal places. 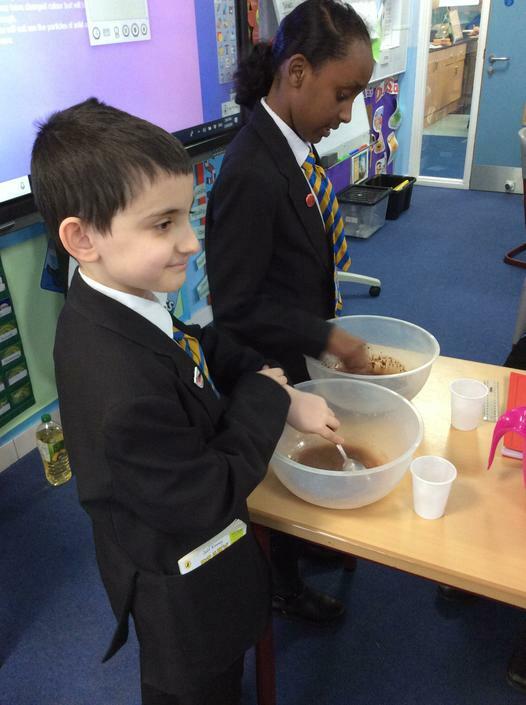 In Science the children have been investigating water resistance. This week the children have completed their character descriptions about Bellatrix Lestrange. 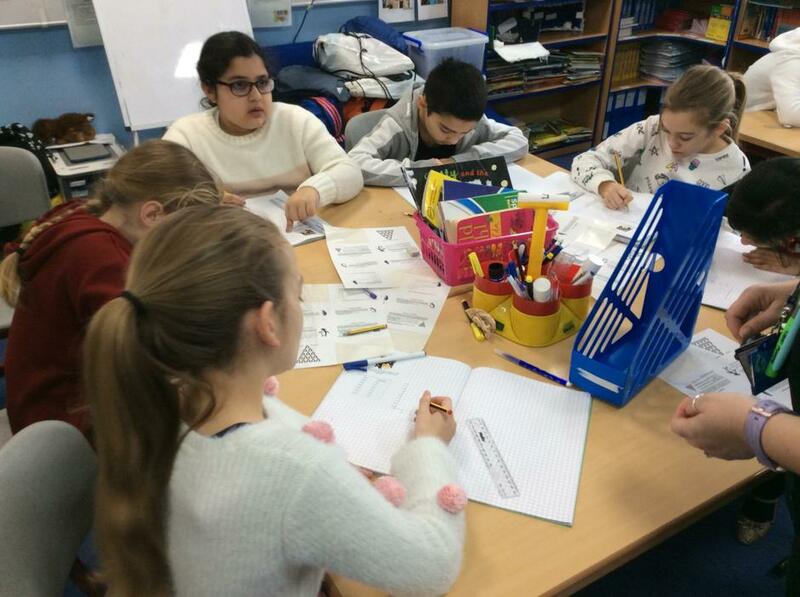 The children worked hard all week to produce some brilliant published pieces of writing on Friday. 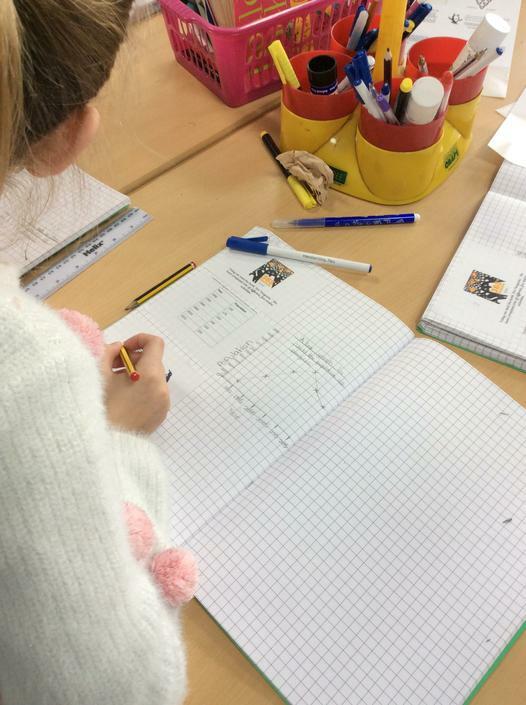 In maths this week the children have worked with the vocabulary and concepts of prime and squared numbers in different contexts. 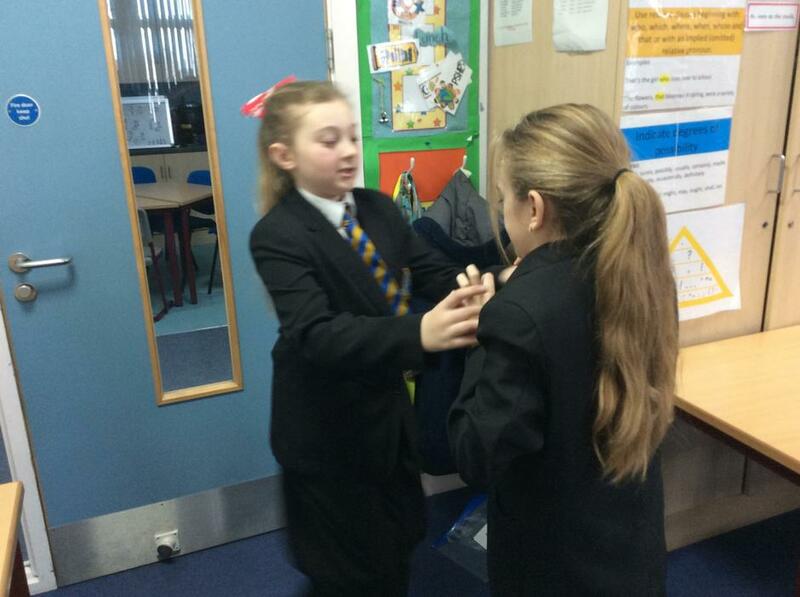 Our science this week has included an investigation into friction. 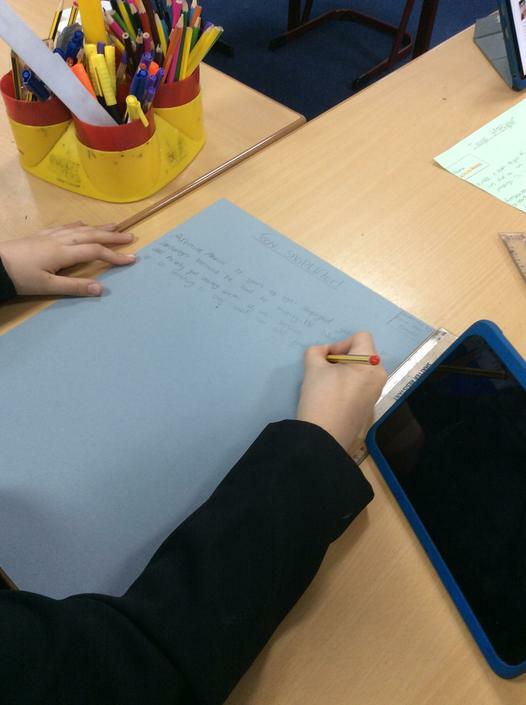 This week the children have been planning some character based writing inspired by the Harry Potter books. The children have planned writing using a range of features to show the reader their character's key traits. In maths we have continued to work on the skills of multiplication and division in different problem solving and reasoning contexts. This week the children have completed their non chronological reports about fantastic beasts. 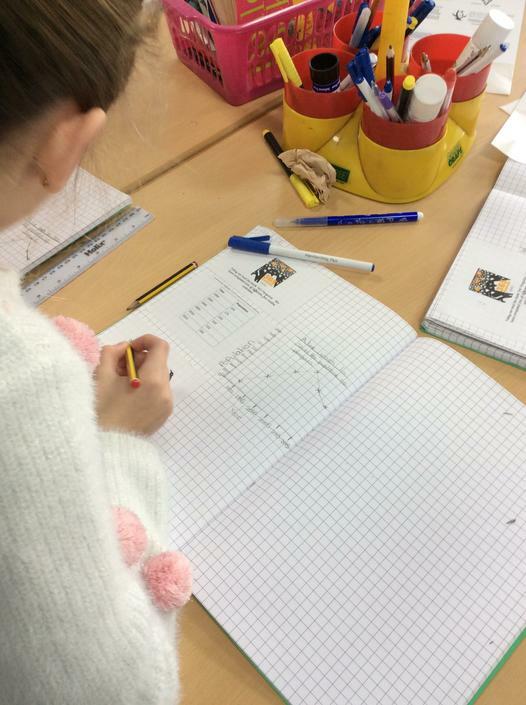 In maths, the children have been using formal written methods of multiplication to solve problems involving multiplying large numbers by 2 digit numbers. 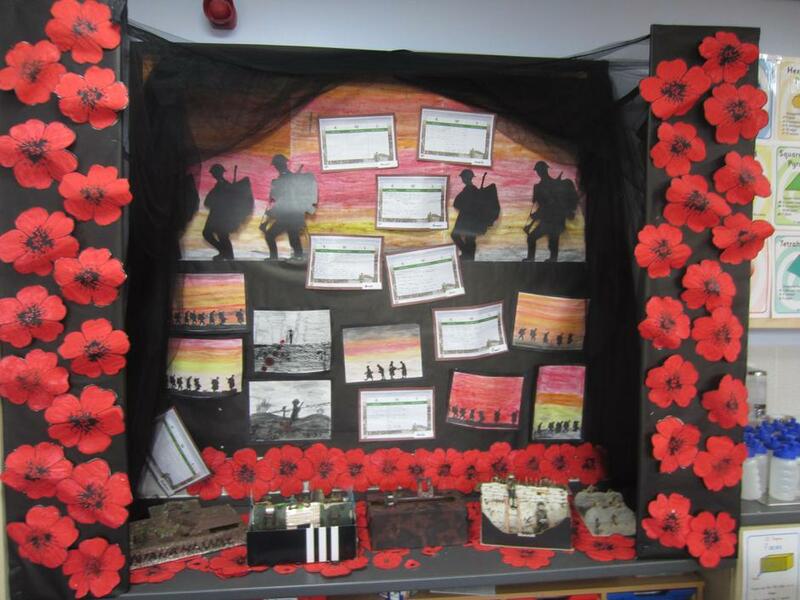 This week the children have also prepared and performed a series of remembrance assemblies to the class. 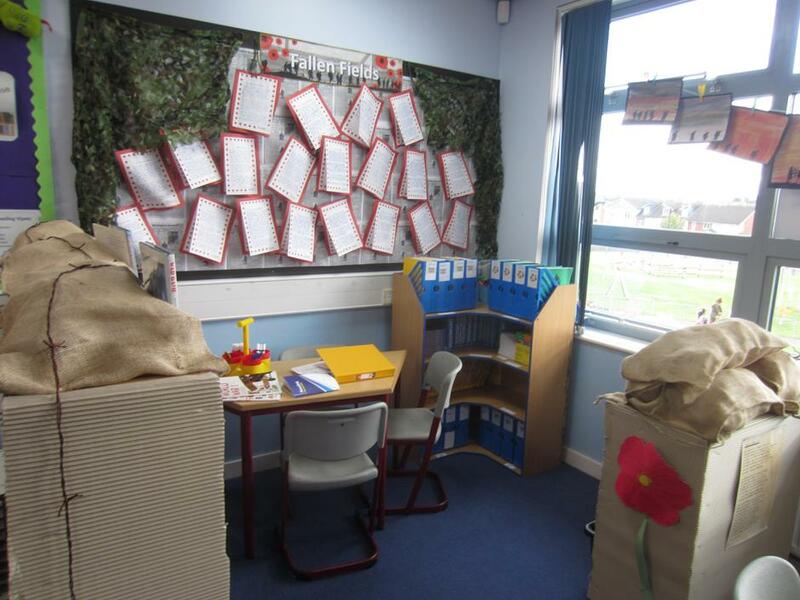 It has been wonderful to see the children work together to produce the resources and ideas required to perform their assemblies the remember the centenary of armistice day. It has been a busy week back at Waterside for all of the children in Whales class. 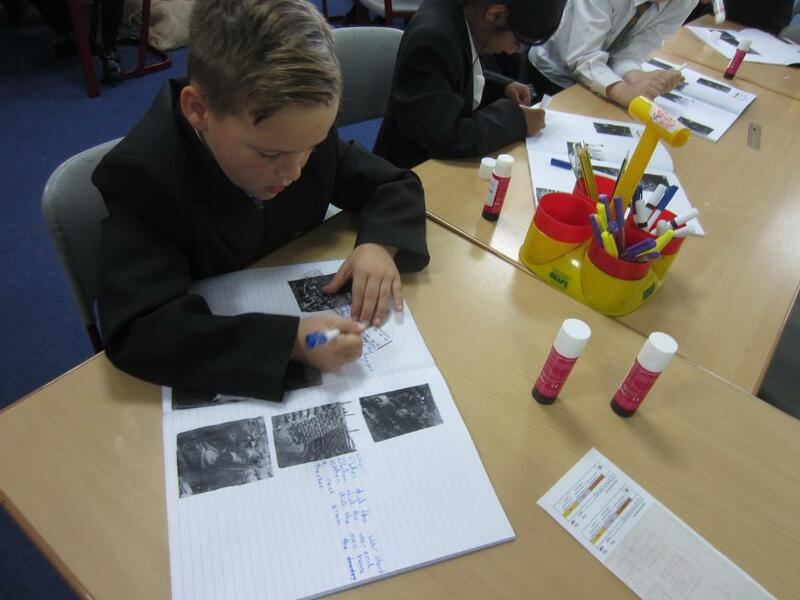 The children have been planning a non-chronological report based on Fantastic Beasts And Where To Find Them. We have been researching different magical creatures and planning our writing. 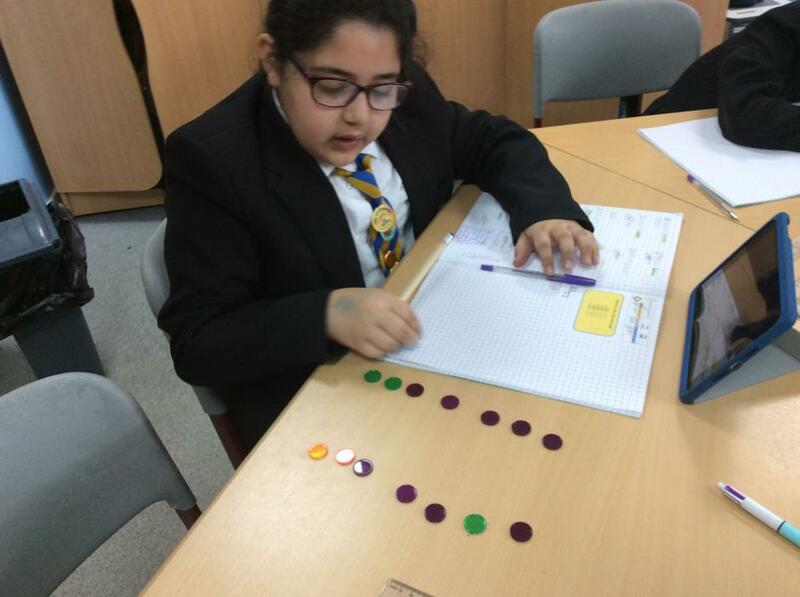 In maths, the children have been multiplying and dividing by 10, 100 and 1000 in different contexts. We have then been applying these skills to solve problems involving conversions between different units of measure. The children had an extremely busy end to the half term. 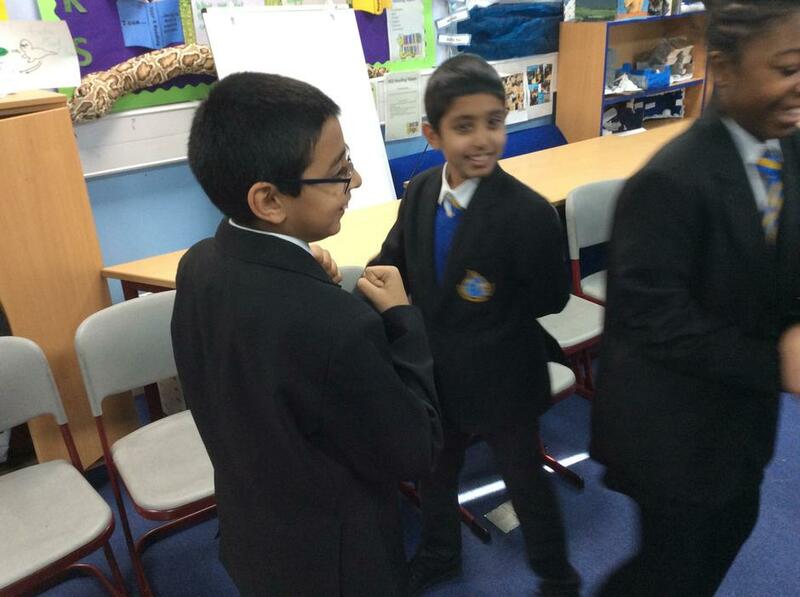 In our encompass lessons the children worked in groups to begin to plan their own remembrance assemblies which they will perform for the rest of the class throughout week 10. The children worked brilliantly in groups to think of different ways we could remember together. 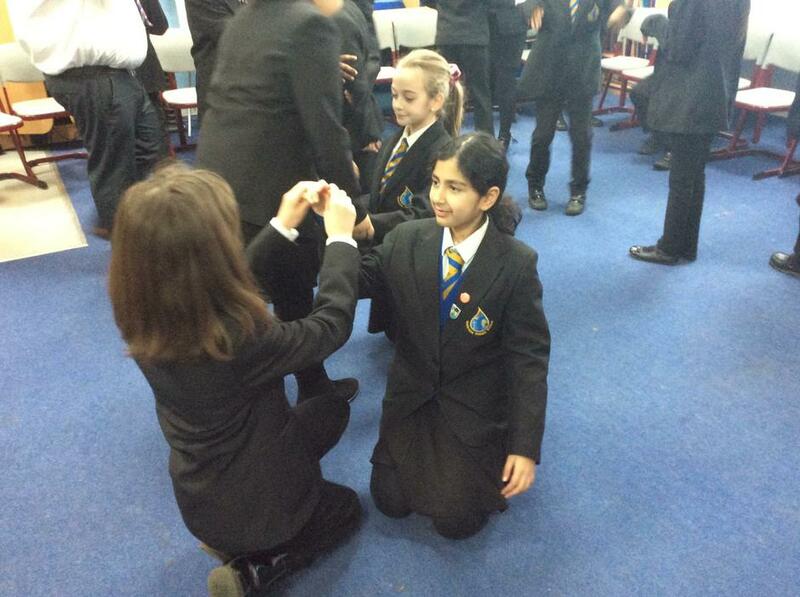 Work on these assemblies will continue during the first week back in school after half term. 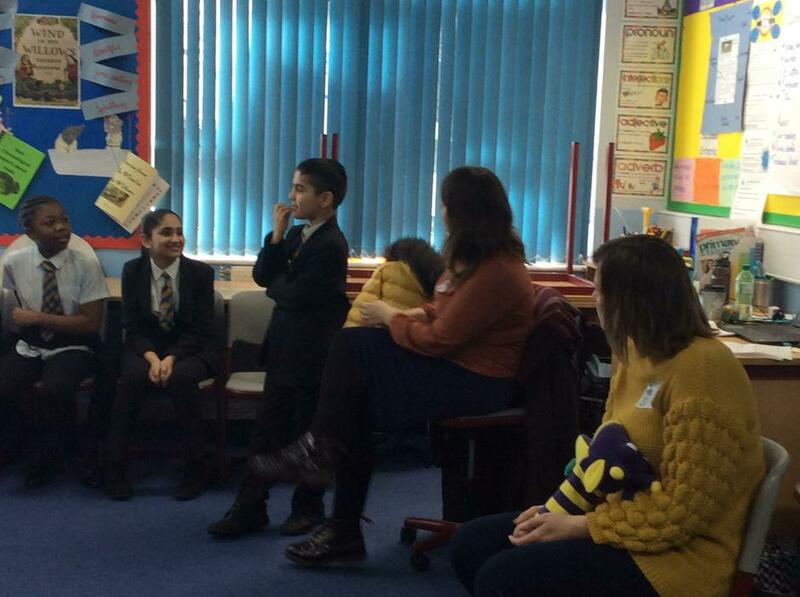 In English the children produced some excellent setting descriptions using a range of year 5 skills, with a particular emphasis on relative clauses. This week the children have been working hard on their re-write of The Piano. 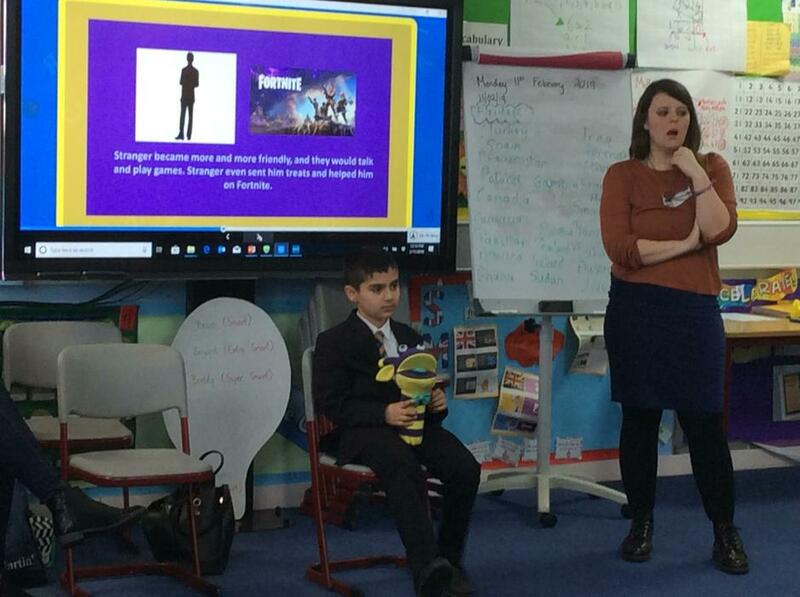 We have worked hard to incorporate flashbacks and changes in tense into our writing and the final published pieces show off a wide range of year 5 skills. Maths this week has focused on using rounding for estimation and using the inverse operation to check our answers to questions. In Encompass this week the children produced a piece of art work and a musical composition using the garage band app on the iPads linking our WWI topic to questions about remembrance. This week the children have started some writing based on the short animation, 'The Piano'. We have been planning the use of flashbacks and figurative language to create strong imagery in the mind of the reader. In maths this week the children have begun work on addition and subtraction using concrete, pictorial and abstract apparatus. 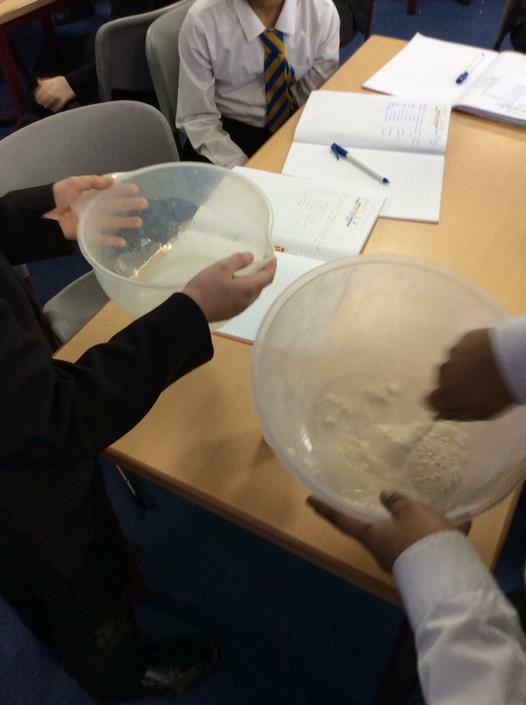 We have also done some Harvest Festival work and investigated the origins of different foods from around the world. 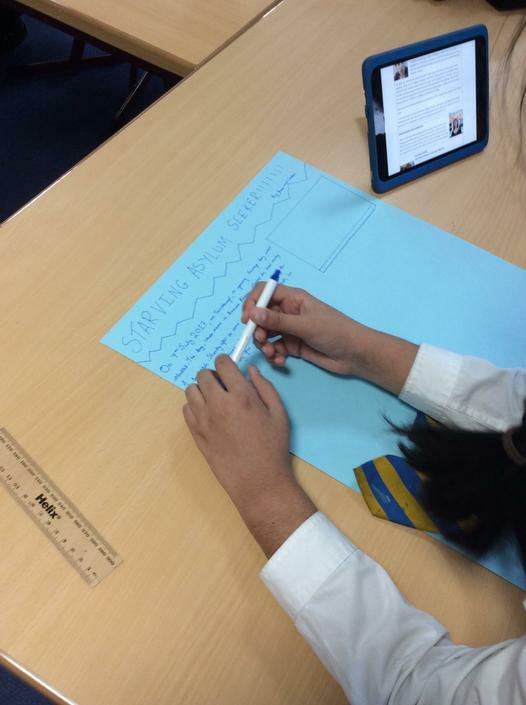 This week the children have completed their newspaper reports based on the UFO sighting in Aquila. 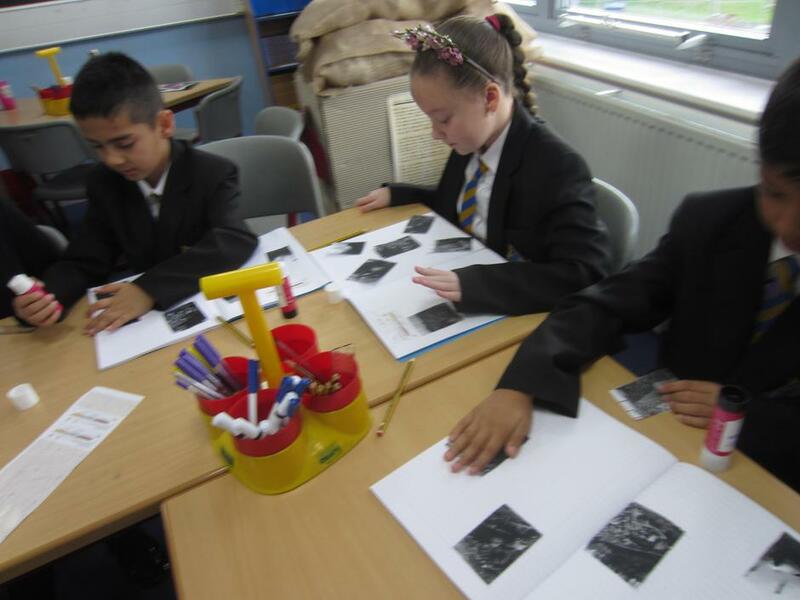 It has been wonderful to see the children develop the appropriate tone and language required for a newspaper report. 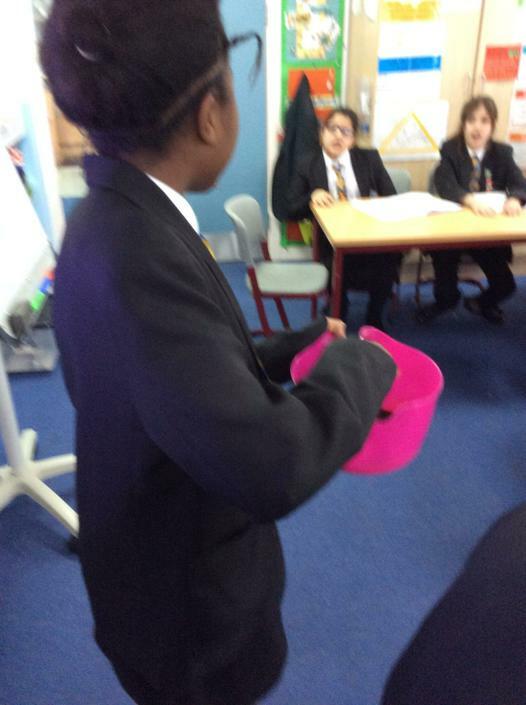 Maths this week has focused on the skill of rounding numbers up to 1,000,000. The children have shown a great deal of resilience, particularly in relation to their reasoning and explanations of their answers. 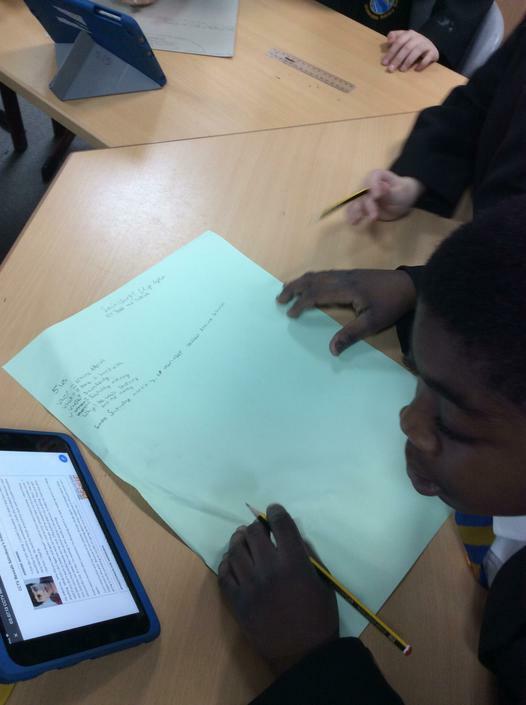 This week in English the children have been developing their non-fiction writing skills by investigating and planning a piece of journalistic writing based on our class text, Aquila. 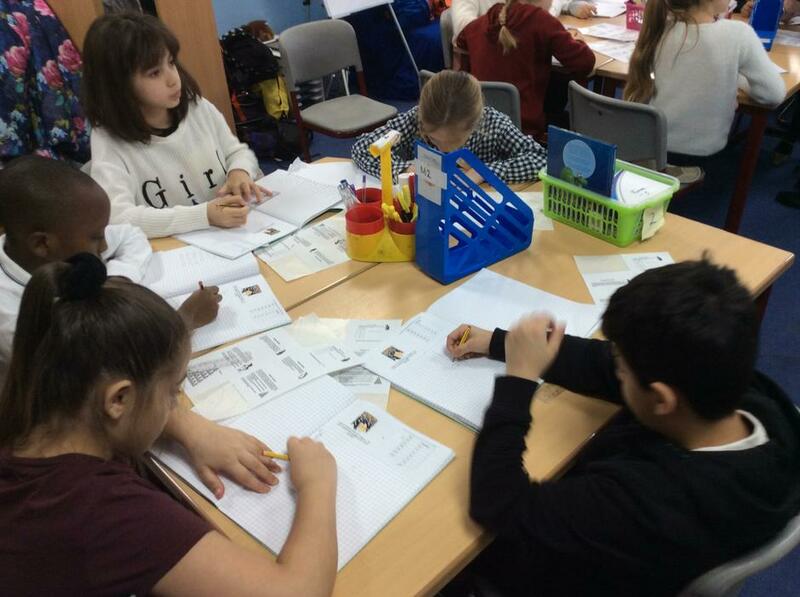 The children have worked very hard to develop an effective journalistic style in their writing and we are beginning to see some excellent news stories coming together. We are excited to see where our journalistic writing will take us next week. In maths the children have continued to master the skills of counting back through zero and counting forwards and backwards in multiples of 10, 100 and 1000. 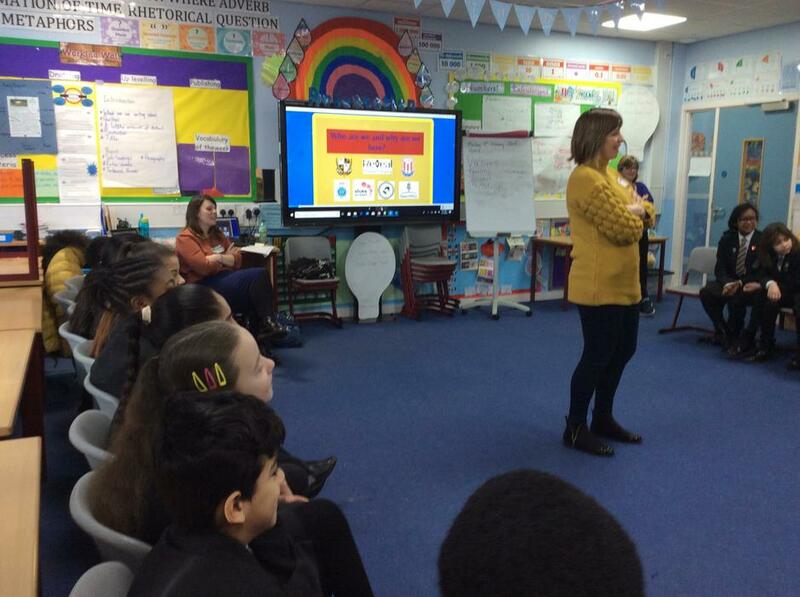 We have had an increasing emphasis on problem solving and reasoning this year and it has been excellent to see and hear the children discuss and explain their understanding of mathematical concepts. 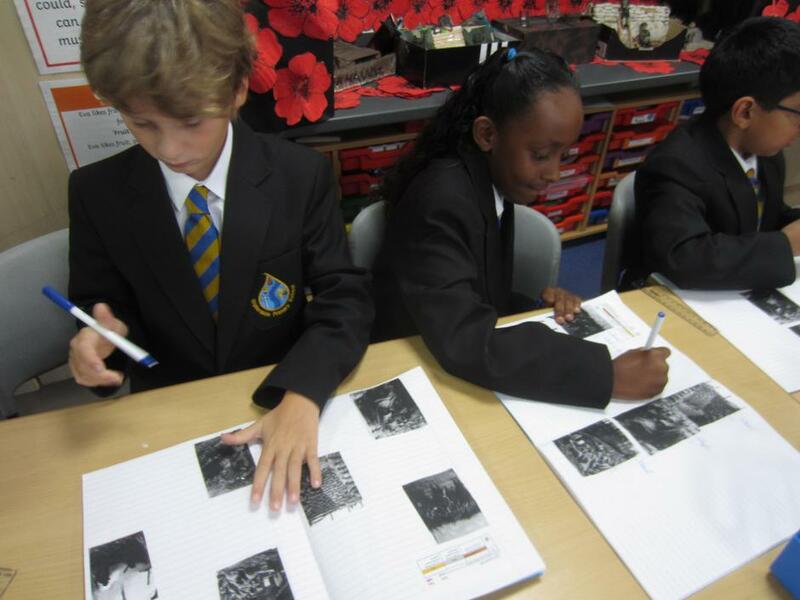 This week the children have continued with their narrative writing in English. 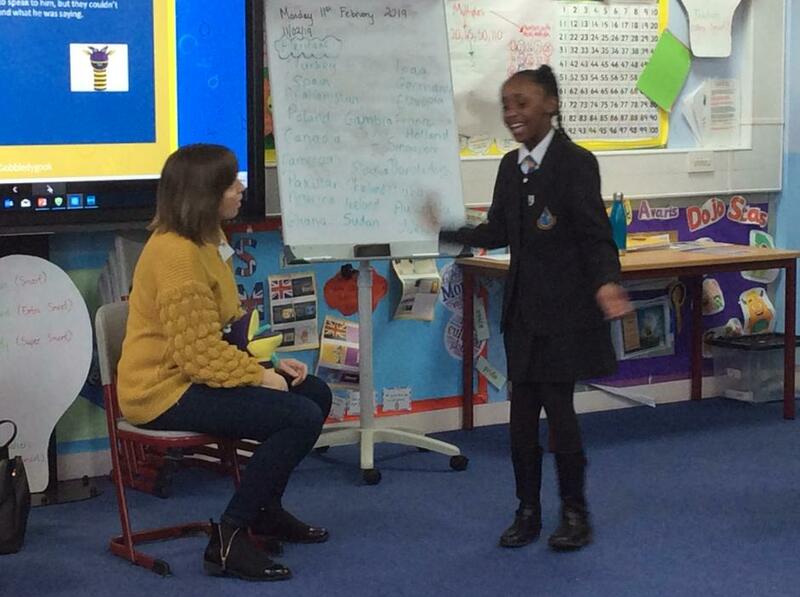 On Friday we published our first published piece of writing of the school year ready for assessment. Next week we will begin with some journalistic writing. In maths, the children have continued to work with place value. The children have worked hard to solve problems in a variety of contexts including concrete, pictorial and abstract varied fluency and a wide range of reasoning and problem solving questions. 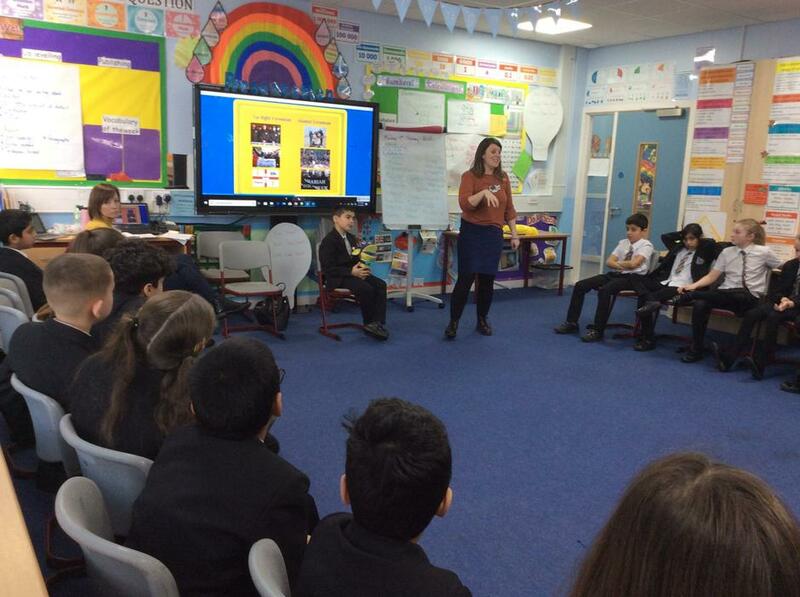 In our Encompass lessons this week the children held a debate, discussing the questions, "Is war ever justified?" 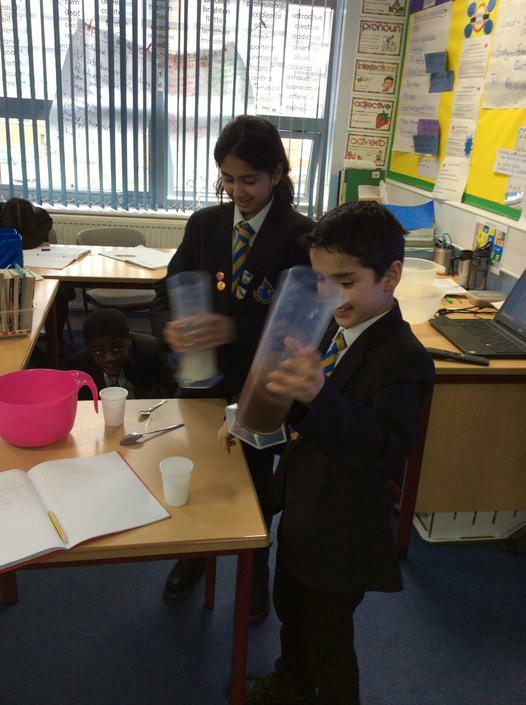 Our science lesson this week provided children with opportunities to apply their maths skills to scientific investigations involving bar charts and line graphs. 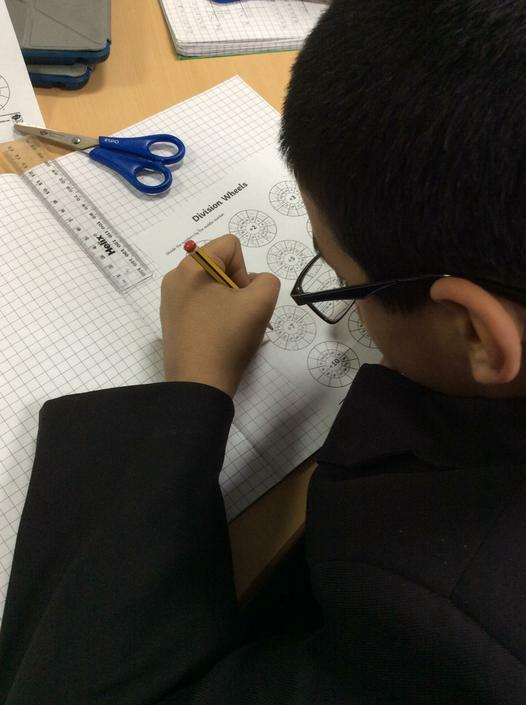 It was wonderful to see the children applying their mathematical skills to the wider curriculum in the afternoon. The highlight of this week was the year 5 and 6 trip to the Imperial War Museum North in Manchester. 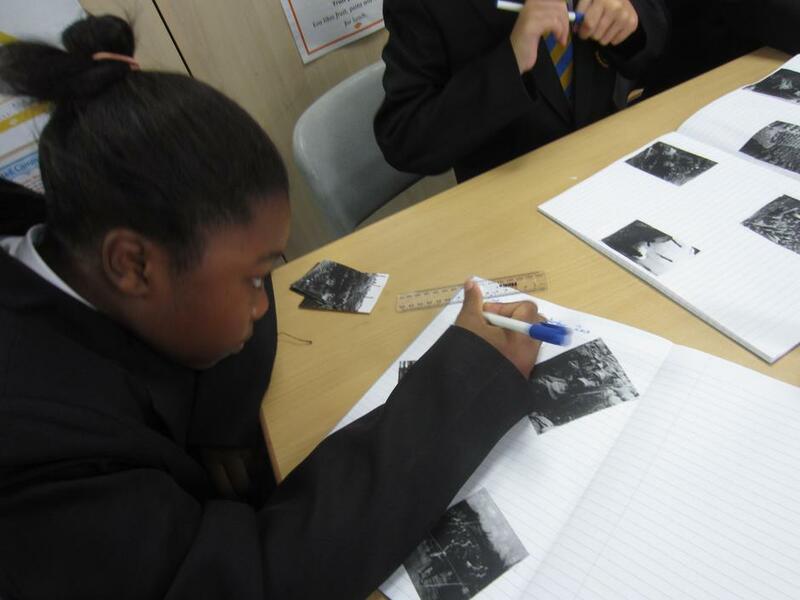 The children had a brilliant time discovering artefacts from the first world war and gaining an greater understanding of the lives and sacrifices of men and women during the war. 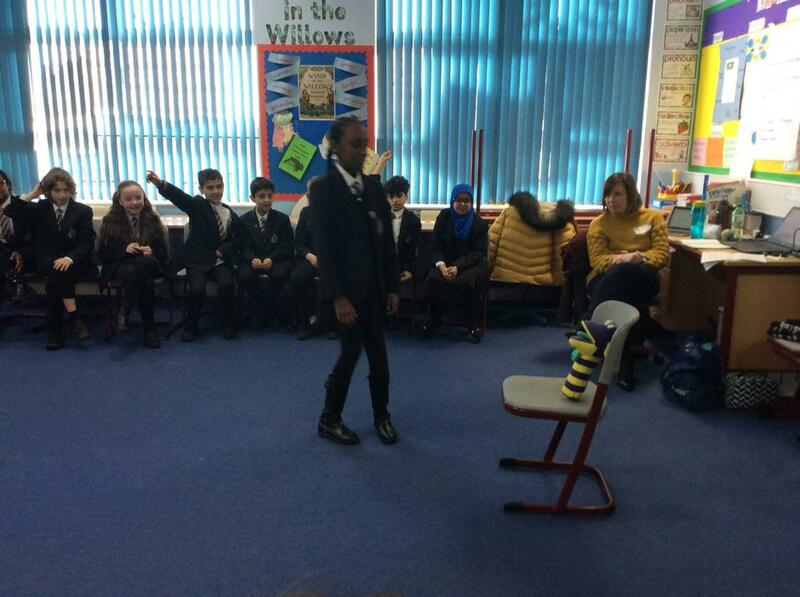 The children took part in the ministry of memory workshop at the museum did a brilliant job of representing our school. 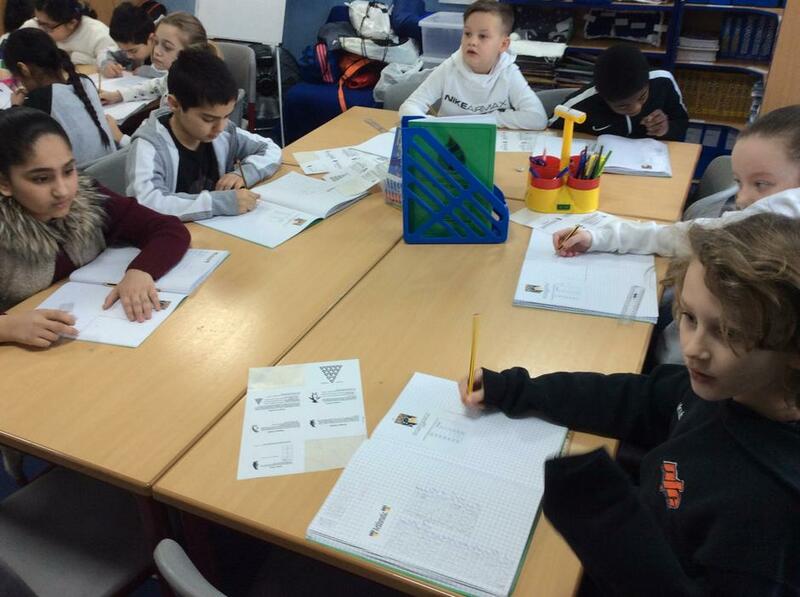 In English this week the children have been planning their writing based on our class text, Aquila. We are now all set and ready to produce some excellent writing next week when recounting the opening of the story. 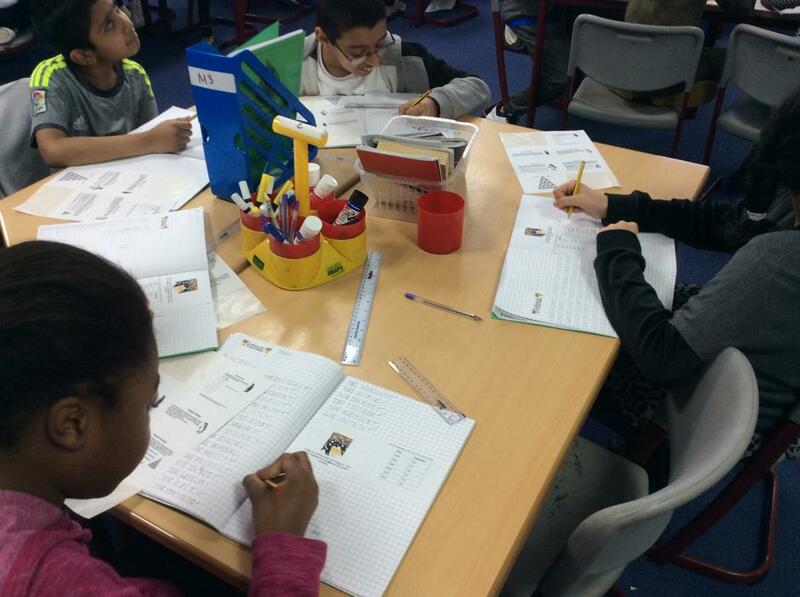 Maths lessons this week have focused on place value and solving problems in different contexts with varied fluency. It has been an excellent week back at Waterside for all of the Whales Class. We have settled into our new classroom, set out our expectations and introduced our new topics. The children have began their Fallen Fields topic and created a set of research questions to investigate throughout this term. Over the holiday a number of the children have produced some excellent homework and I am looking forward to seeing some more of this homework next week.